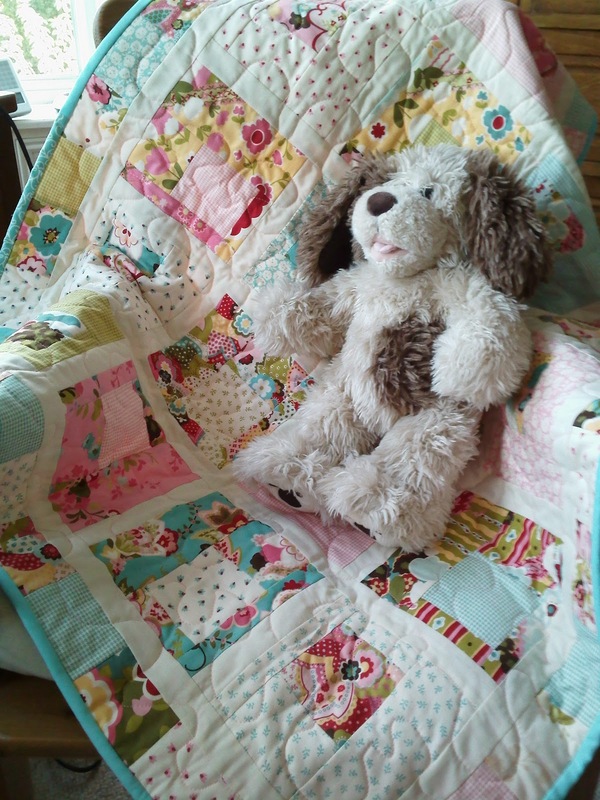 The cot quilt I’ve been working on for my friend’s baby (due next week!) is finished! 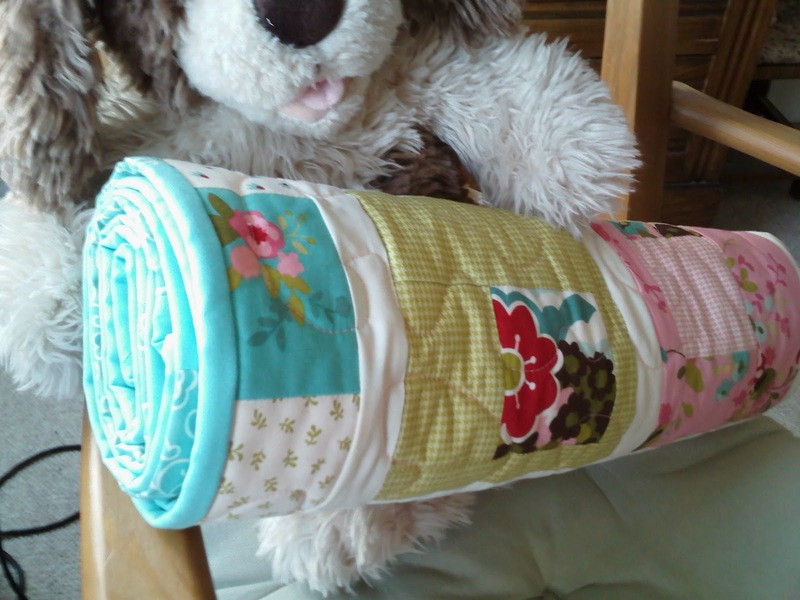 The back – Sarah inspired me to go with large quilted wiggles! The colours look a bit washed out in these pics, but in reality they are bright and vibrant. 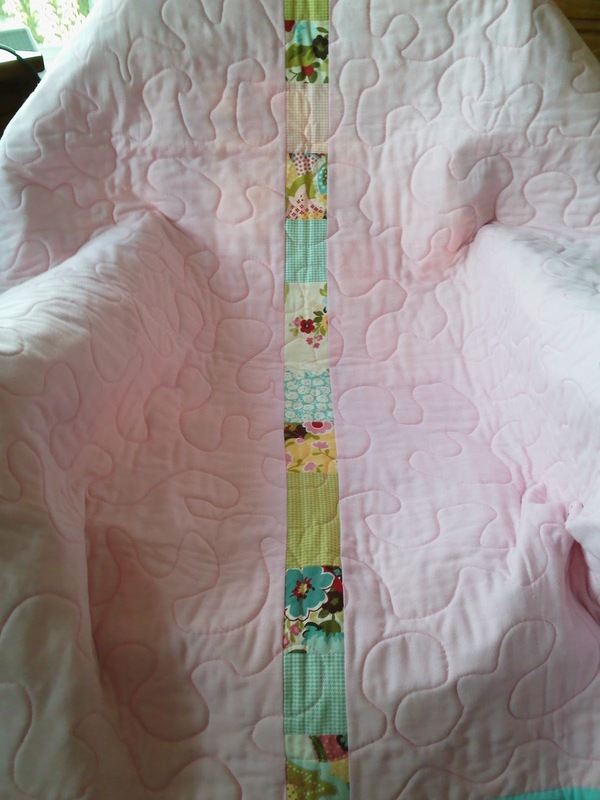 This isn’t a big quilt, only 38″ x 40″ and I only used half the Sophie Layer cake. I hadn’t enough pink for the backing, hence the strip down the middle made from the leftovers, and my leftover Kona Azure I used for the binding wasn’t quite long enough either, so I added 2 strips from one of the remaining 10″ squares to make it work. All that remains is for little one to enter the world and then I can make the label and post it over to England. Wouldn’t it be funny if they called her Sophie!! 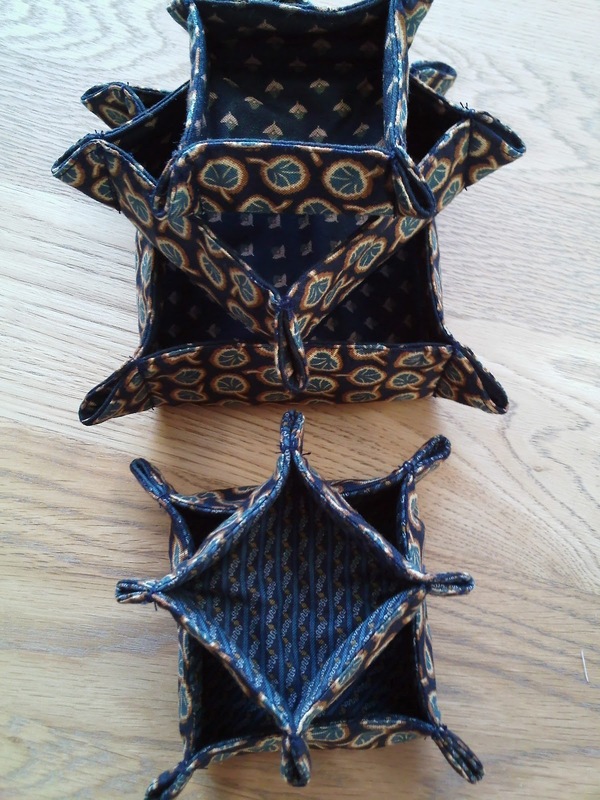 And this morning I rustled up a few more change tray sets for my Dad and Brother in Law for Christmas. Well the sun is shining, it’s baltic outside, but warm inside – aaahhhh! I’m off to have a bite of lunch before deliberating over what else to make Mum for Christmas! Previous Previous post: A Few More Ticks! Next Next post: A Year's Work is Finished!